Especially popular with girls sports teams our personalized mirror-back buttons are available in 2-1/4" and 3" sizes. Our keychain buttons are a great way to get your promotional message out. Available in 2-1/4" and 3" sizes. We offer round buttons in two sizes 2-1/4" and 3" and are available in the following four styles: pin-back, mirror back, magnet back and keychains. If you can imagine a design, we can incorporate it. Our 3" round button is the most popular shape and size we manufacture. Buttons are still one of the most popular and inexpensive ways to promote your sports team or company. They can be extremely colorful and attractive, and are a poignant way of getting your message across. Of course, they can simply be fun to wear! If you are not sure which size would best suit your promotion or campaign? Contact one of our experienced and friendly button consultants today at 1-866-210-9705. We'll help you determine which size button suits your requirements. When you buy your novelty, promotional or advertising buttons from Pro Design Websites, you are buying from our experienced designers high quality double steel backed buttons. As with all our products, our buttons come with a 100% satisfaction guarantee. Is your company, group, or association holding a special promotion? Our promotional buttons are an inexpensive way to promote your message. Pass them out so hundreds of people can be advertising your promotion! Optimize your message with this low cost advertising method. School booster clubs have sold to parents and participants of special events and fundraisers to make a fundraising profit. We work with you to make sure you receive a quality product. 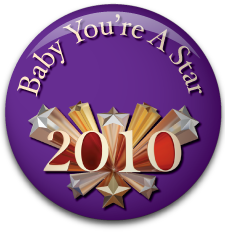 Have a large team you would like to sell each parent a personalized button? We offer free individual personalization of any size and style button. access to an online invoice that you can use to securely order directly using your credit card or PayPal account. Place secure order using the link in the email that is sent to you. Your order will be processed and shipped within 7 business days.